NDA Written Exam is conducted by the Union Public Service Commission twice a year in the month of April and September. The duration of the course training is about 3 years. After the accomplishment of 3-year course, Army Cadets progress to Indian Military Academy (IMA) at Dehradun, Naval Cadets to Indian Naval Academy, Ezhimala and Air Force cadets to the Air Force Academy, Hyderabad. On completion of one-year rigid training at the respective academies, cadets are commissioned as officers in their respective services. 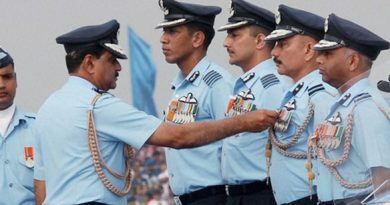 Because of the presence of the air-force base and due to the fact thatBareily is the regiment centre and a major settlement of the Jat Regiment which is the longest-serving regiment in the Indian Army, Bareily is an important place to practice defence studies. This city is 252 km north of the state capital, Lucknow (UP) which makes it a hub of coaching institutes in UP. Every year, students from all over India compete in one of the toughest exams in the world i.e., NDA Entrance Exam. For the preparation of this exam, students look for those coaching that use different methods to enhance their preparation by giving full undivided attention to them using various teaching methods. Major Kalshi Classes is the Best NDA Coaching mainly because of its flawless NDA selection record for 11 years. Our method is to make the students mentally confident by introducing them to an organized study plan which tackles the pattern of examination and excels in it upon facing through it. We also provide Motivation Classes, Doubt removing classes, weekly mock tests to assess skills of every individual candidate studying in this institute. Our Infrastructure is considered as one of the most well developed and fully equipped in the country. A student can share his/her thoughts with elders & teachers while gaining knowledge in a healthy competitive way. With the presence of monthly medical check-ups and a strong focus given to teaching plan, we are never late in completing the syllabus and provide ample amount of revision time can be given to students. 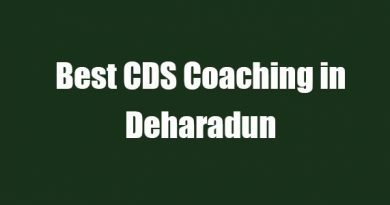 We are the only defence coaching that has its own publication and original study material prepared by dedicated faculties and mentors. Aspirants are ensured that no extra material or any kind of books should be attained except recommended by our teachers to qualify for the exam. Remember, Self study is the most important aspect which no one can deny, but coaching always gives ample time for self-study and revision. Over the years the number of coaching institutes for NDA/NA has grown and each of them claims to be the best, but none of them is as best as Major Kalshi Classes.